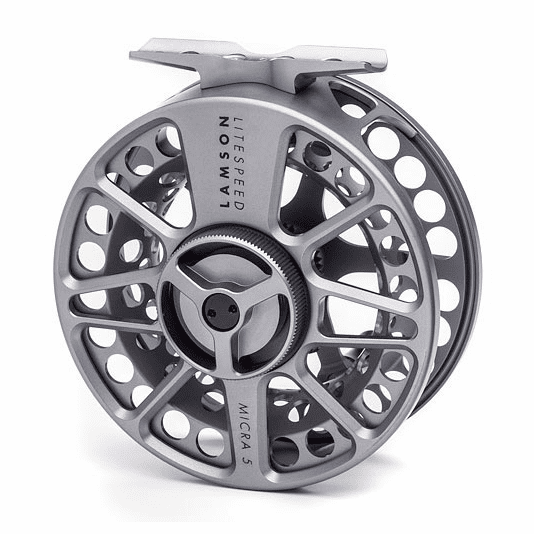 The Lamson Litespeed Micra 5 Fly Fishing Reel is an engineering feat in fly fishing: a reel that is larger in diameter, stronger, yet lighter than any previous litespeed reel. It is also the lightest full drag reel in the world, now with a larger diameter and an unprecedented retrieve rate. 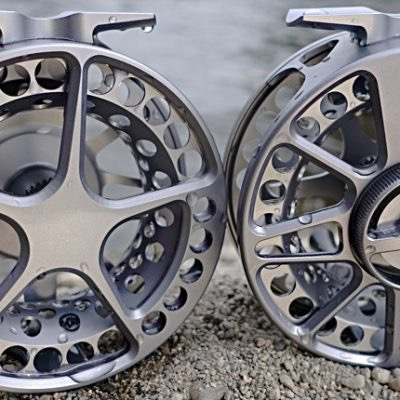 There is a lot that is new with the Litespeed Micra 5 Fly Fishing Reel. 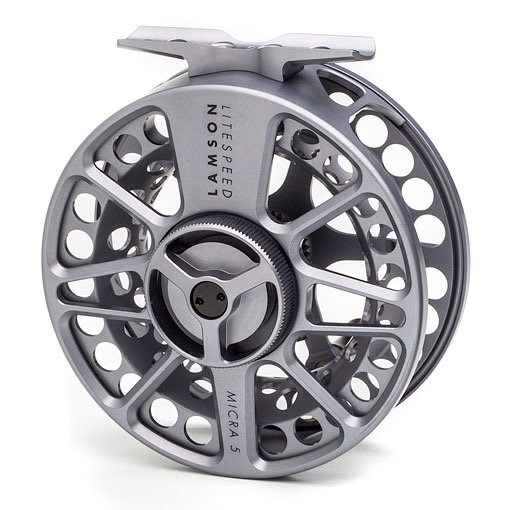 For starters, Lamson has integrated the drag housing into the frame of the reel, thus making the housing a structural member which increases both stiffness and overall reel strength. Yet it is light-Lamson has removed the cassette and the threaded overlaps reducing material, which reduces weight. The integrated housing makes the reel narrower which in turn makes the frame/drag unit lighter as well. With a high retrieval rate, a narrower spool, and a stiffer frame, this ticks all of the boxes that you want from a fly reel. Furthermore, Lamson has enhanced their 3D milling of the Litespeed Micra 5 Reel for better material distribution and changed their ergonomic reel knob which provides you with a great grip. Micralox. Lamson has coated this reel in a new coating known as micralox. It is new to the fly fishing world and only available with Lamson Reels. Micralox is touted as the ultimate finish in corrosion resistance. Materials: Machined 6061 Aluminum & Stainless steel. See Above photo for individual Reel Model Specs.